When small business owners need funds fast, merchant cash advances (MCAs) tend to be a popular go-to solution. However, the speed often comes with a heavy price. In this guide, we break down everything you need to know about a merchant cash advance, including how to calculate the true cost of this popular (but often deceptive) financing option. A merchant cash advance is a business cash advance against your future revenue. You get a lump sum of capital upfront, which you then pay back with a percentage of your daily credit card sales. A merchant cash advance is designed for businesses that have short-term financing needs and require funds fast. Due to less stringent approval criteria, it’s a common option for newer businesses and those who may not necessarily qualify for traditional small business loans. For the most part, applying for a merchant cash advance can be done entirely online, and generally, in a matter of minutes. Once approved, you’ll receive a lump sum of cash in exchange for a portion of your future credit card receipts (plus fees) — which you’ll automatically begin repaying based on your daily transactions. The typical cash advance is between $2,500 and $250,000. Depending on the amount of money you borrow, the repayment period could be as little as 90 days or as long as 30 months. However, the average term is 8 to 9 months. 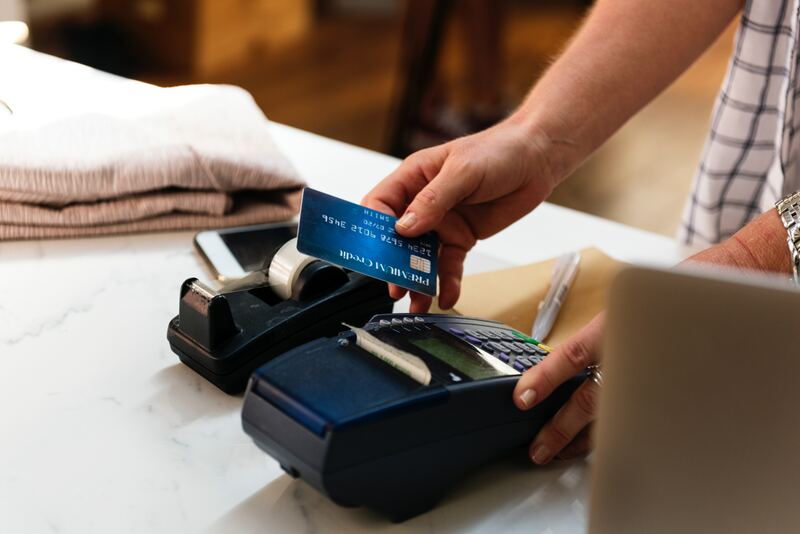 The merchant cash advance provider determines how much you’ll need to pay back by looking at your average monthly credit card sales (as well as the stability of this revenue stream), time in business, and industry. You can figure out what you will owe in total by multiplying your loan amount by your factor rate, which can range from 1.1 to 1.5. So, assuming you receive a $40,000 advance, your total repayment could be anywhere from $44,000 to $60,000. The percentage of your daily credit card sales that an MCA provider takes is called the holdback or retrieval rate, which typically ranges from 8 percent to 30 percent. The provider will take a predetermined percentage of your daily credit card sales directly out of your account until the full advance plus factor rate is paid back. Factor rate: A calculation that helps you determine how much money you will pay back in total. Holdback rate: The percentage of your daily credit card sales that an MCA provider will take until you pay back what you borrowed (plus fees). And so on, until you fully pay back your advance. Here are some of the benefits of an MCA. Due to this technicality, merchant cash advance companies aren’t held to the same standards as other lenders when it comes to state usury laws. This means they can make their underwriting process much more lenient, and charge sky-high rates to help compensate for riskier borrowers. With most lenders, you’ll need a personal credit score of at least 600 to even be considered for a loan. MCA providers, on the other hand, tend to be most concerned with your credit card processing statements, as this provides insight into whether or not you have the necessary sales volume to pay back what you borrowed. This means that even with a credit score as low as 500 or fewer than two years in business, you could be eligible for this financing option. Some types of financing require a small business owner to pledge something of value as security for repayment of a loan, to be forfeited in the event of a default. This could be a cash deposit, a piece of industrial equipment, or other type of asset. However, merchant cash advances are usually unsecured, which means no collateral is required. That being said, some MCA providers will still require a personal guarantee — which means your personal belongings could be up for grabs if you fail to repay. And since not all businesses end up holding their end of the bargain, you’ll help cover those that default by paying extremely high rates (more on this later). You pay based on how much you sell. As you saw from the sample payment schedule above, your actual daily payments will most likely vary. This can help you worry less about not making your payment during slower months, since your actual payments are proportionate to what you bring in. However, some merchant cash advance companies have a maximum repayment period (such as 18 months) or require a minimum monthly payment (such as $5,000) — so, if your credit cards sales are too low, you will have to figure out a way to make up the difference. Merchant cash advance providers may lend you up to 250 percent of your credit card sales. If your business can prove consistent sales, chances are you will likely be able to qualify for a large advance. Of course, there are some serious downsides to merchant cash advances. Merchant cash advance providers don’t ask for an Employer Identification Number (EIN) and rarely report to credit bureaus, which are the first key steps in building up your business credit score. Just as with personal credit, a strong business credit score can be critical to grow your business. Not having an adequate business credit score can lead to difficulties growing the business, problems securing working capital for future sales, and inadequate inventory levels. With some loans, you pay a fixed amount which takes into account interest. So, there is an incentive to pay quicker because you’ll pay less in interest. However, a merchant cash advance has a factor rate, so you have a fixed amount to pay back. Paying faster doesn’t translate to lower fees. In fact, it only translates to a higher APR for you. A merchant cash advance can prevent your business from growing quickly. Since you’re paying a fixed percentage of your sales, the more you sell, the more you pay. A steady stream of daily payments can put heavy pressure on many small businesses and make it difficult to maintain cash flow to keep up with ongoing monthly expenses, take advantage of emerging growth opportunities, or otherwise budget for the long run. MCA providers tend to be misleading — not just with the slew of names for their products (such as “advance,” “payday loan,” or “short term cash solution”), but also with the terms they set forward. First, you’ll likely encounter a collection of fees ranging from “administrative costs,” which may include origination fees or closing fees, to “servicing charges.” Plus, their terms can be confusing and lead you to a situation in which you’re paying much more than you initially anticipated: you’ll rarely find the cost discussed in straightforward terms like “APR,” and your factor rate may be presented as a percentage (12% instead of 1.12) while interest rates may even be explained in cents per dollar. While at first glance this likely seems affordable, once this interest is annualized, the true cost skyrockets. The biggest drawback of a merchant cash advance is that the total annual borrowing cost as measured by the annual percentage rate (APR) can range from 40 percent to 350 percent! Since there are so many different forms of financing out there, the most reliable way to make an apples-to-apples comparison is to use the APR. Other forms of financing have much lower APR ranges: traditional bank loans can have APRs under 10 percent, business credit cards usually charge APRs from 12.9 percent to 29.9 percent, and business lines of credit often charge APRs of 9 percent to 99 percent. That fast funding comes with a steep price tag! Why do merchant cash advances have such high APRs? The main reason is that APR measures not just factor rate and a slew of miscellaneous fees, but also speed of repayment. Let’s assume a $100,000 advance with a 1.3 factor rate. Paying back the full $130,000 in 12 months leads to an APR of 30 percent, which is comparable to that of a pricey business credit card. But if business is booming, you may end up paying the advance 6 months faster, which doubles the APR to 60 percent. And paying the advance in just 3 months triples the APR to a whopping 90 percent! But that’s not even the full picture. On top of the high APR, merchant cash advances may come with other fees, including an origination fee (a fee charged by the provider to cover the cost of processing the cash advance). Let’s put it all together with two examples. Marissa gets a merchant cash advance of $40,000. The provider charges her a 2.5 percent origination fee upfront, or $1,000. Marissa makes an average payment of $153.44 per day, so it takes her 378 daily payments, and she ends up paying a total of $58,000.32. The APR comes out to 58.80 percent! Abdul lands a merchant cash advance for $50,000 and he has to pay back a total of $55,000. He pays a 3 percent origination fee of $1,500 upfront. Assuming a 15 percent holdback rate and projected monthly sales of $45,000, he has an estimated $225 daily payment. Assuming it took him 244 days to pay back in full, Abdul’s advance has an APR of 38.24 percent. APR is the most effective way to make an apples-to-apples comparison of lending options. To illustrate this, we used one popular MCA’s cost structure to show what your offer may look like in contrast to a term loan from Funding Circle. For business owners with a strong personal credit history and a few years under their belt, term loans are a great financing alternative for three key reasons. Predictability of payments – Similar to a mortgage or car loan, a term loan is repaid in fixed payments over a set period of time. Being able to consistently budget for your cost of financing regardless of sales allows you to better plan for the future. Lower APR – While the APR of a merchant cash advance typically ranges from from 40 percent to 150 percent, rates for a term loan typically range from 7 percent to 30 percent. Sustainable financing strategy – A merchant cash advance is designed to be a very short-term source of financing. The high APR of a merchant cash advance is not sustainable for long term projects that fuel the growth of your business. A term loan is better suited for investing in new technology to increase your output capacity, opening a second brick-and-mortar location, or covering working capital needs during peak seasons. At Funding Circle, we believe you deserve a more transparent lending experience, which is why we’ll always be upfront about the true cost of your loan. You’ll know exactly what you’re getting into from day one, helping you to budget better and focus on growing your business. Funding Circle offers term loans from $25,000 to $500,000, with repayment terms ranging from 6 months to 5 years and rates starting at just 4.99 percent. So, whether you’re looking for short-term or long-term financing, we’ve got you covered. Our fixed, affordable rates make your repayment schedule predictable with a consistent, once-monthly payment over the life of your loan. And our fee structure is simple and transparent: we charge an origination fee on each loan we fund ranging from 3.49% to 7.99%. We won’t try to nickel-and-dime you by tacking on additional surprise fees that can add up quickly. We also have no prepayment penalties — meaning if you decide to pay your loan off early, you won’t get charged extra! Plus, you only pay for the time you borrow, so you can save a ton in interest. At Funding Circle, we deliver a best-in-class experience to our customers. You’ll work with a dedicated loan specialist who will guide you through the entire application process and remain focused on meeting your unique financing needs. Our fixed rates start at just 4.99%, and because we believe in an honest, transparent borrowing experience, we’ll always be upfront about the true cost of your loan. You’ll know exactly how much you have to repay each month — no hidden fees or prepayment penalties. How long does it take to apply for financing from Funding Circle? Our application process is quick, easy, and transparent, so you can get back to what’s most important – growing your business, not deciphering confusing MCA jargon. You can apply for a loan online in just 10 minutes, and have a decision from us in as little as 24 hours after document submission with money in your bank account in as few as 10 days. *Funding Circle total repayment and APR for a 1-year term loan is based on year to date average rates and fees at the time of publication, excluding any discounts. **MCA repayment amount based on a 1.49 factor rate. Rates, terms, and other fees may vary and can depend on the applicant’s specific credit profile and business financials. ***Total repayment calculated according to industry standard, and does not include one-time origination fee. The true cost of an MCA: Can you afford it?